Last weekend had pleasure to attend Professional Scrum Product Owner class from Steve Porter and Nagesh Sharma. The class was real eye opener for me who has been working with Scrum framework for over 6 years now. In last 6 years, I have worked in different roles; scrum developer, scrum master and very recently agile coach. And more often than not, I was pretty busy working with other Scrum Masters or Development Teams. Never really worked very closely with Product Owners. As a result my understanding came from the context in which I worked, and was very limited. Looking at the Scrum guide as well, the Product Owner role is defined within one page. The Product Owner is accountable for maximizing the value of the product and the PO does so by managing the Product Backlog. This often and my own work context gave me an idea that all a Product Owner does is gather the desirements for the product, order them to maximize value of the product and clarify doubts of the development team. At times, the Product Owner also does some stakeholder management, as in inviting them to Sprint Reviews. However, the class with Steve and Nagesh was big myth buster for me. 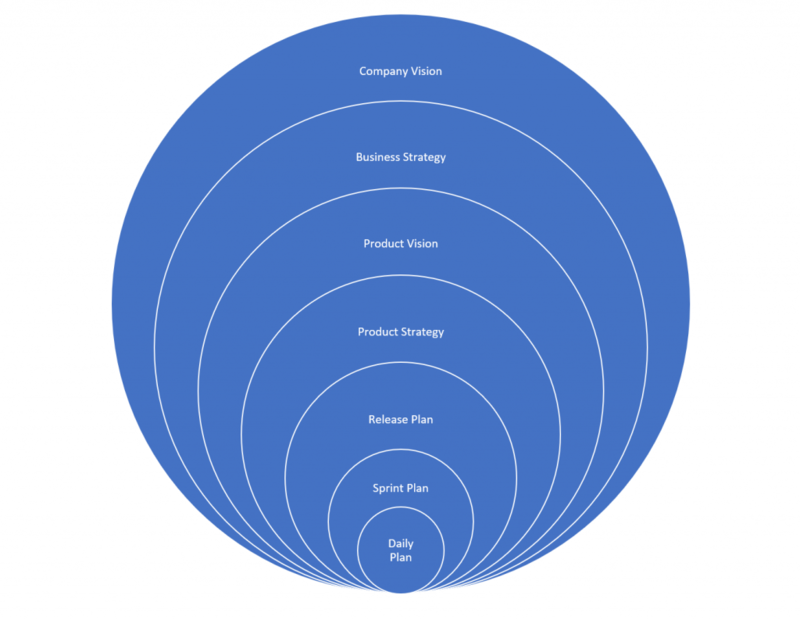 The Product Owner’s role spans way beyond product ownership. It includes a lot of stuff from Product Management. Product Ownership is just one part of it. Product Owner not only has to manage product backlog but also has to create an alignment, starting right from Company Vision to a Team’s release plan. The job of the PO is not just to scribble requirements for the development team and then clarify those requirements. PO thinks from multiple perspectives and keeps evaluating what all things can create maximum impact for the business via the product that is getting built by the team. The PO has to align himself/herself with the bigger picture. What is the vision of the organization, what is the business strategy, what does the organization wants to achieve with the product and then bring in all that alignment to the team level. PO brings in alignment at all levels. The Product Owner is continuously analyzing the market trends, changes in the industry, business domain and also the competitors. This helps the PO to come up with new and innovative ideas that can keep the organization ahead of the competition. The product owner works relentlessly to keep the product backlog ordered and transparent to ensure that stakeholders are well informed about what to expect in the upcoming releases. Product Owner has to ensure that the development team is working on the most valuable desirements. The focus is on delivery of value and quality over quantity. For this the PO collaborates continuously with customers and the development team. Also, the PO constantly focuses on optimizing productivity and eliminating waste for better ROI. At the end, I would say whoever is currently working in the role of Product Owner or wants to get in their shoes, the Professional Scrum Product Owner class could be a good starting point. Ofcourse, we do learn a lot with our own experiences, but we need to start somewhere. This could be the starting point. I learnt some good lessons and would recommend the same for my readers. Agile, Product Management, Product Owner, Scrum. Bookmark.